INTAMSYS® delivers high quality industrial 3D Printing solutions for printing functional parts with a wide range of functional material. INTAMSYS printers are a first of their kind that allow users to have one machine that can work with almost all polymers. 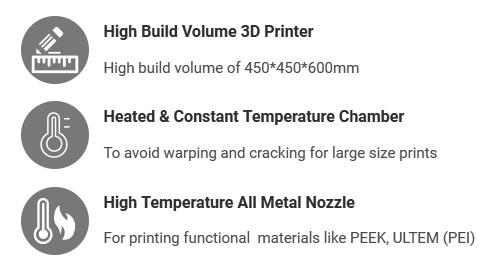 The FUNMAT range of printers provide the world’s most affordable, cutting-edge desktop 3D Printers dedicated to printing functional parts. 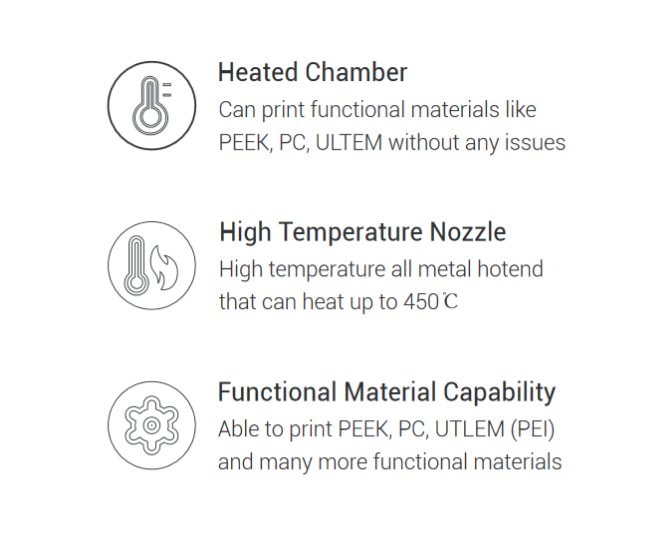 Users have the flexibility to use a wide range of materials including high temperature polymers like PEEK and ULTEM, and also industrial grade materials like ABS, PC and NYLON.